Discussion in 'GBAtemp & Scene News' started by Another World, Apr 24, 2009. Moonshell has received another update. Please see the change log for more information. • System: A safer boot loader was made. • FileList: Corresponded to MP3/ID3TagV2.2/V2.3. "Bug that the performance time becomes abnormal" and "Noise sound bug" were corrected. • LangFile: TCS_DetectCharCode_ANSI, TCS_DetectCharCode_UTF8, TCS_DetectCharCode_SJIS, TCS_DetectCharCode_UTF16BE, TCS_DetectCharCode_UTF16LE deleted. • LangFile: DV_Popup_Pause_Play, DV_Popup_Pause_Pause, DV_Popup_PreviousFile, DV_Popup_NextFile, DV_Popup_Volume, DV_Popup_Seek, DV_Popup_BacklightLevel added. • SkinFile: mp_modelbl_allrep.png, mp_modelbl_random.png, mp_modelbl_repeat.png deleted. Can someone explain the safer boot loader? There's the normal moonshl2.nds (64kb) and a moonshl2_DirectBoot.nds (795kb) file. I doubt this will ever be released in non-beta form? Something's not right with the booter. When it's loading, it actually has these weird, grainy sounds, it doesn't sound right. Could someone figure out how to use the directbooter on a CycloDS, or other flash carts? Edit: I figured out how to use the other loader, it seems to load faster and more reliably for sure. is there way can add new font or this support Unicode because some special character don't work? Good job on spotting that. the one i uppped for this post was the one moonlight put up after he said the bit about the memory leak. so this is beta 12 or 11 or whatever. I'm quite sure the file he has linked to right now is in fact Beta 11 and not 12 because the file size of the file I downloaded yesterday right after he released Beta 11 is exactly the same as the one that is linked to right now. has anygonbe gotten this to work for the G6? i've tried but something went wrong, i tried the auto dldi patcher but maybe that's what broke it? Still waiting for the non-beta, anyway it looks like its coming together nicely. >The next is night Tuesday. g6 is not an sd, it's an slot2 card, and all your romfiles must be in the NDS folder in the root of the card, but i guess the moonshell folder should be in that folder too then? 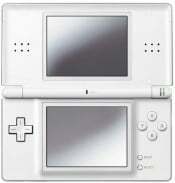 i think i tried both root and the nds folder, but havnt got it to work.